Mapping the Middle East: Palestine? Human beings are pack animals, which helps explain our fascination with such asocial themes such as hermits, survivalists, and marooned individuals. We can't help wonder what we would do if stranded on a desert island or cast adrift in the sea. Think of movies such as Jeremiah Johnson, Cast Away, All is Lost, Into the Wild, Wrecked, Behind Enemy Lines…. We are obsessed with the very idea of staying alive against long odds, as in Hunger Games or Survival. Of course, there is Western culture's most famous example of desperate individualism, Daniel Defoe's Robinson Crusoe, a book seldom out of print since it appeared in 1719. What would we do if we were literally the last person on earth? As we see in all such productions, the islands are not "desert" atolls devoid of all survival tools, food, and water, or the film/book/show would be a very short one indeed. Likewise, the "last" person usually isn't–he or she is part of a small band, or a Friday materializes somewhere in the narrative. 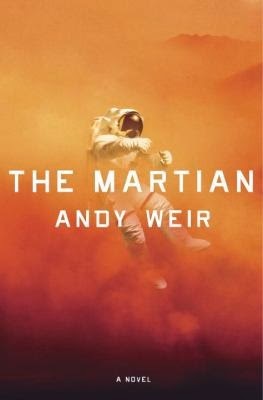 Andy Weir's page-turning science fiction novel ups the ante. What if you really were the last person alive in an environment with no soil, food, water, or air? What if there was no Friday to offer companionship and you knew if wasn't remotely possible for a rescue team to reach you for four years, assuming anyone even learns you did not perish in the accident in which your crewmates thought you were killed? When would you ingest toxins provided for such an eventuality? The Martian has been accurately called an amalgam of Apollo 13 and Cast Away. Some time in the near future the crew of the Ares 3 Mars mission is conducting experiments on Mars when a freak dust storm tears an antenna from its moorings and impales their colleague, Mark Watney, sending him tumbling down a ravine. The crew has seconds to enter escape pods and head for the mother ship before the storm envelops them. There's nothing that can be done as Watney's suit was punctured and the commander's reading of Watney's suit monitor confirms death, probably from an explosion of his blood vessels occasioned by sudden and total depressurization of his space suit. There's nothing to do but save themselves and return to the ship to mourn during their two-year journey back to earth. Except Watney doesn't die. His own blood seals the puncture and he manages to scramble back to his habitat. Emergency self-surgery is the easy part. How can he survive in a hab unit with air, food, and water designed to sustain for months, not years? And Watney can't contact anyone–that suit-piercing antenna was part of the communications array. Mark's a resourceful guy, but each time he runs the supply numbers, the math comes up short–by several years. Should he just inject himself and become a for-real casualty? Two things transpire, the details of which will astound science geeks. First, NASA has left behind all kinds of space junk–rovers, habitats, old suits, solar cells, etc.–that can be jerry rigged, especially by an outside-the-box thinker like Watney. He even figures out how to produce some soil for crops, though the explanation isn't for the squeamish! I'm no scientist, but Weir's explanations of how Watney produces food, air, and water sound plausible. But Watney also knows that if he has any chance of rescue, he will have to time a rover drive to the Ares 4 landing site at exactly the right time–a daunting task as it's 2,000 miles away, he'll have to recharge the rover, and its top speed is 15 mph. Are you up for a four-month drive in a vehicle you can't leave? And even if everything goes right, it's still going to be a crawl to the end in which he could die before rescue. Once Watney begins to move about, an observant NASA official notices the activity. But what to do about it? As we are reminded in Weir's taut novel, NASA has to jump through political hoops, not just scientific ones. I don't want to give away too much, so suffice it say that this is a beat-the-clock story akin to The China Syndrome or The Andromeda Strain (with much better science). There is also the question of how long one can live with one's self, a reminder that hermits are more romantic in fiction than in reality. Note: To the best of my knowledge, Andy Weir is not related to yours truly. 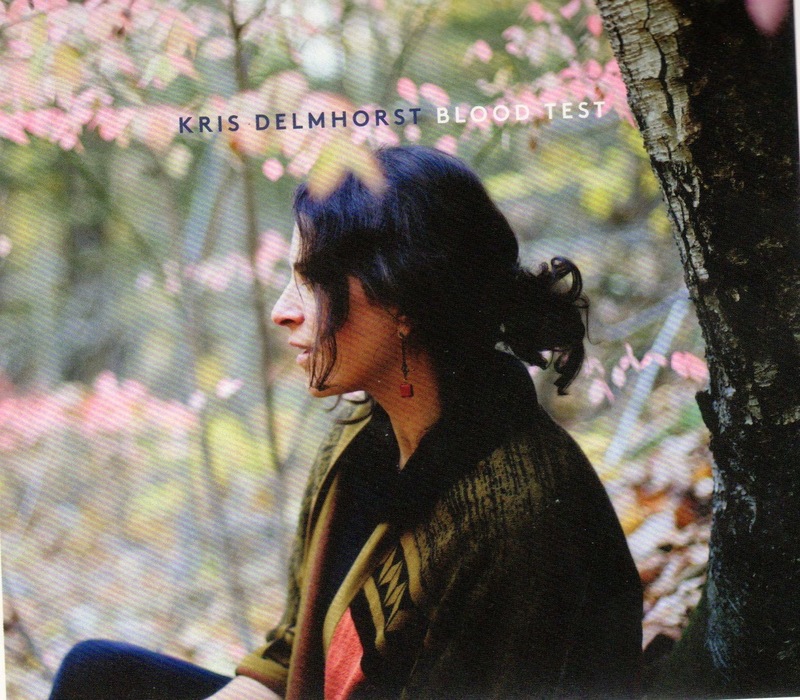 Back in 1996, Kris Delmhorst was a fresh new voice on the folk scene. Now she's an experienced performer and Blood Test–the titular song on her first collection of originals since 2008–reminds us she's been on the road long enough to lapse into a nostalgic mood: Remember how it used to be?/Nothing on the radio and nothing on TV/Just us and all those hours/The humming roads, the singing stars/We could listen in,we could drown it out... It's a blood test, tell me are you real? She returns to her past on "92nd Street," an homage to her New York childhood. Eighteen years on stage and six of motherhood give Delmhorst the right to be wistful. In fact, the tone of Blood Test puts me in mind of material from Patty Larkin's (or maybe Suzanne Vega's) backlist–especially the spare arrangements, the phlegmatic vocals, and lyrical twists that skirt the borders between description, irony, and unease. On "Bees," for instance, she sings: Well the leaves are turning gold/They're turning red and gold/God at least there's something changing.... Sameness also surfaces in "We Deliver." For the Misplaced Love of Hamas!